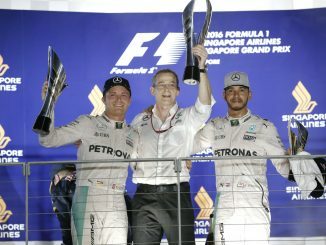 Mercedes will have both cars on the front row at the Abu Dhabi Grand Prix for a fifth consecutive year after Lewis Hamilton secured pole position ahead at Valtteri Bottas in qualifying at Yas Marina. 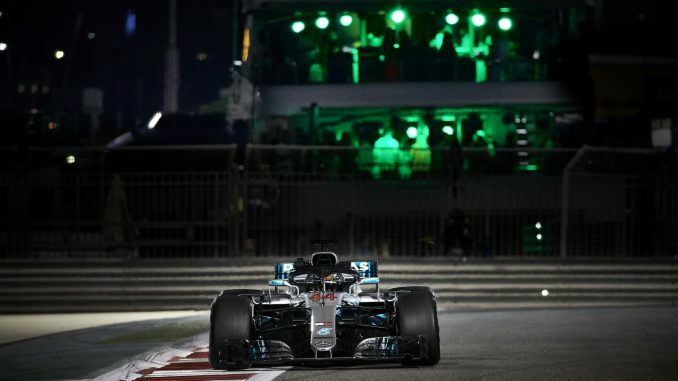 Hamilton set a new lap record with a time of 1:34.794, putting him 0.162s ahead of his teammate, who was the race winner at Abu Dhabi last year. Sebastian Vettel pushed hard with his final lap of qualifying as he tried to upset Mercedes’s dominance, and the German looked to be on for a quicker lap, but a slower final sector meant he had to settle for third – he’ll be joined by teammate Kimi Raikkonen on the second row. 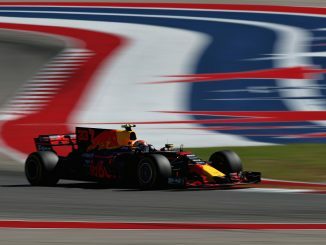 Daniel Ricciardo was the faster of the two Red Bulls, with Max Verstappen abandoning his second flying lap as he struggled to set the maximum out of his car. 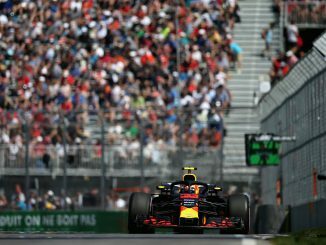 Ricciardo only narrowly made it through to Q3 though, as a late call from his race engineer not to set a faster lap on the hypersoft tyres left his just 0.02s ahead of 11th-placed Carlos Sainz. Fernando Alonso put together a fast lap late in Q1 to get his car through to the second part of qualifying, while Stoffel Vandoorne’s early elimination means the Spaniard has outqualified his teammate at every race this season, although Alonso missed out on a place in the top 10. Both Toro Rossos were also eliminated in the first session, but Pierre Gasly’s chances were scuppered by a smoking car, forcing him to pull to the side of the track after finishing his final lap. Romain Grosjean takes the honours as best of the rest, having put his Haas seventh on the grid, showing much quicker pace than teammate Kevin Magnussen, who barely made it out of Q1 before missing out in the second part of qualifying.